Fourteen years after being cryogenically frozen as part of an experimental partnership between the Rock n’ Roll Hall of Fame and Dairy Queen, guitarist Billy Howerdel has been successfully reanimated. He has since reunited with his band A Perfect Circle, whose new album, Eat the Elephant, was released on April 20. 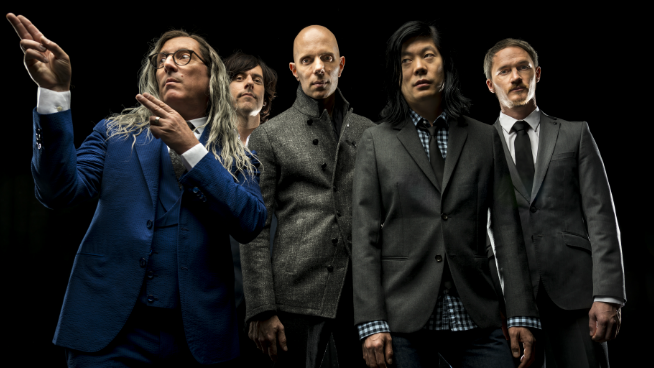 A Perfect Circle recently added more dates for their 2018 Eat the Elephant World Tour! The next leg of the tour includes a stop in Park City, Kansas on Wednesday, November 14 at the Hartman Arena. Listen to V100 this week for your chance to WIN TICKETS to the show! Tickets for the Park City show are on sale to the public. via ticketmaster.com or at the Hartman Arena box office and start at just 45 dollars. Their new album, Eat the Elephant, is the band’s first album in 14 years and is a follow up to eMOTIVe which was released in 2004. The record is the fourth album the band has released since forming in the late 90s. APC went on Hiatus in 2005 due to band members perusing their own separate projects. Eat the Elephant is the possibly the best album the band has crafted to date and has received rave reviews from critics and fans alike. Ethan had a chance to check out A Perfect Circle live at Rock on the Range earlier this year and you can trust him when he says that they do not disappoint. Check out the band’s latest music video below!